Star Micronics announced that Revenu Quebec, the tax authority of Quebec, has certified its TSP700II, TSP800II, FVP-10 and TSP650 receipt printers as compatible and certified with the sales recording module (SRM) to be installed in all restaurants in the Canadian province under a new rule that took effect on September 1st, 2010. The above Star receipt printers comply with the new regulations, eliminating at least one step restaurant operators have to take to comply with the rule. Star Micronics announced that its SM-S200 and SM-T300 portable receipt printers have earned certification from InfoTouch Corporation for use with the software vendor’s InfoTouch® Store Manager ES and Store Keeper POS touchscreen-based specialty retail point of sale software. This revolutionary wide-format POS printer provides a solution to a number of applications where no POS printer was able to before. From compact web printing to mobile transportation printing as well as producing wide, high-quality POS receipts with professional and crisp graphics, the Star TSP800II is the solution! The TSP800II is the only printer on the market that provides printing on 3” to 4.4” wide paper at an amazing speed. This wide format solution is the perfect printer for applications that need to print a large amount of information on a receipt without compromising on print speed or precious counter space. 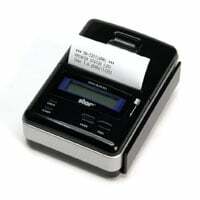 The TSP800II is a fraction of the size of a bulky desktop printer and its only consumable is thermal paper. Furthermore, Star Micronics developed a special Zoom Raster Driver, enabling users to scale the size of an A4 document down to receipt size paper. Print maps, web pages, invoices, and more! 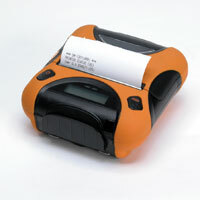 Have you ever wanted to see animated receipt printers duel featuring the Star TSP700ii and set to the tune of The Devil Went Down To Georgia by Charlie Daniels? Have I got just the thing for you. CognitiveTPG has released 32-bit and 64-bit Windows 7 drivers for their POS printers and DLX, EZ-LP, and C Series Label printers. These new drivers carry the Microsoft’s Windows Hardware Quality Labs (WHQL) certification to ensure that they are easy to use, stable, properly install/uninstall on a computer, and work well with other Microsoft WHQL applications and devices. With WHQL certification, these digitally signed drivers prevent tampering and reduce messages during user installation. The Windows 7 Drivers for our Advantage LX printer will be available in the very near future. Star Micronics is proud to add Portable Receipt Printers to its long roster of point of service printers – compact, light weight, wireless portable printing solutions in different printer widths. The SM-S200 is ideal for the hospitality industry. Easily fastened on a belt for “table-side” order taking as well as retail “line busting” as its sleek design fits in a customer friendly environment. 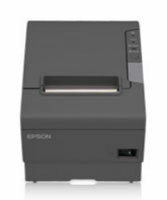 In addition to easy drop in & print paper loading and print speed of 75mm per second, the SM-S200 also features an LCD display, a Bluetooth connection and comes standard with magnetic stripe reader. In addition to easy drop in & print paper loading and print speed of 75mm per second, the SM-T300 also features an LCD display, magnetic stripe reader and comes standard with a Bluetooth connection. Citizen Systems America Corporation, a supplier of world-class printing solutions, expanded its portfolio of Next Best Printing Solutions with the introduction of the CL-S700DT barcode/label printer, the CT-S851 front exit receipt printer and the CT-S601 value receipt printer. All of these new products are backwards compatible with previous Citizen models and fully plug and play with current competitor’s models.